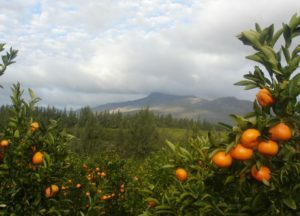 Citrus orchards are rapidly replacing vineyards across the Western Cape. Whatever’s happening to land-use, there’s no doubt that the Cape vineyard is shrinking, and has been doing so for a decade, after a long period of annual increase. The latest available figures are for 2016, and the decrease since 2006 till then has been 6 371 hectares – which is a lot of grapes no longer being available. The total hectarage is now under 96 000. Some people, I daresay, will lament this as a decline in the industry. But not I – not, at least, until I’m shown that the vineyards lost were desirable ones. That misfortune did happen to an extent in Europe when there was a big EU-sponsored vine-pull some years ago, and among the first vineyards to go were the low-yielding, difficult-to-work but often good quality ones; but I think here it’s more likely to be vines producing uncharacterful grapes for the vast blending tanks of the “producer cellars”. Too much poor wine is being made here, and if that volume decreases, so much the better. I don’t doubt my informant’s report on the recent and current uprootings in Robertson. Very likely things are changing all the time – but in fact, in the decade up to late 2016, Robertson was one of the few areas to slightly increase its surface area under vines, along with Olifants River, Breedekloof and Cape South Coast. 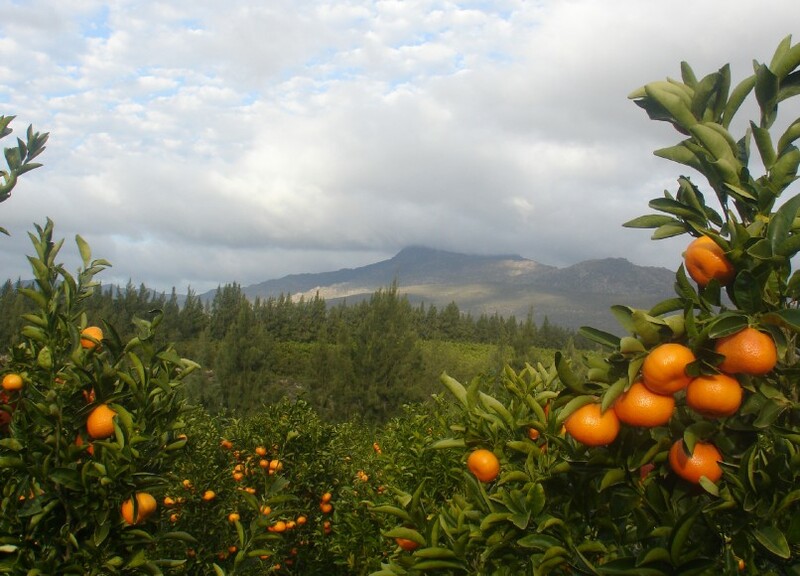 The Cape South Coast (Elgin, Hemel-en-Aarde, etc) was the only area that’s generally reckoned as a high quality one to have increased plantings. And the two largest areas, Stellenbosch and Paarl, were down quite substantially. Interestingly, however, Robertson does figure as amongst the regions with the largest net decrease in plantings (replacement and new vineyards included, as far as I can understand the statistics) of both red and white grapes, so maybe the actual abandonment of vines was just being delayed. As to the individual grape winners and losers across the whole winegrowing area – the big increases in hectarage are sauvignon blanc (will the craze never end?) and pinotage. Of the top 11 varieties, the only other grape to increase its total surface area is syrah. Everything else is down, including chenin which remains way out in front, of course. The most significant loser is cabernet sauvignon, which is down from 13.1% of the total to 11.1%. Let’s hope that that was mostly in hot, dry areas like the Swartland, where cab doesn’t belong. Anyway, its decline means that cab is now down to third place in the rankings, behind colombar. The rest of the top eleven list is, in decreasing order: syrah, sauvignon blanc, pinotage (leapfrogging a few places), chardonnay, merlot, ruby cabernet, muscat d’Alexandrie, and cinsaut. If there are other statistics junkies out there who’d like to find out more about the state of South Africa’s vineyards, the Sawis report can be downloaded here. Happily, the next edition of Sawis’s wider-ranging booklet of industry stats should be available later this month.